Owners and executives working at mid-sized firms face a broad spectrum of financial and operational challenges. While every company’s goals and objectives will be different, all firms share the need for access to high-level expertise needed to meet these challenges and increase stakeholder value. Often, mid-sized businesses don’t have the in-house financial and operational expertise needed to resolve pressing challenges. In this scenario, the business can engage with a virtual CFO services firm that has addressed these challenges for similar businesses. A virtual CFO services provider offers a comprehensive set of financial and operational solutions to meet a wide range of different challenges and needs. To serve as an illustration of the solution scope, we’ve used a graphic that shows the 68 finance and operations areas in which we deliver virtual CFO services. The areas are grouped into 17 rows and are hierarchical in nature. That is, the solutions move from core accounting services at the bottom up to advanced initiatives, performance optimization, governance and compliance and strategy and transactions at the top. 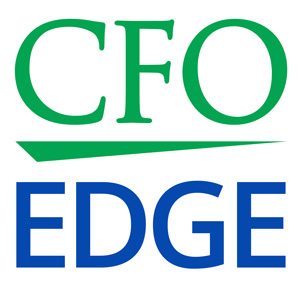 The fact is, not all virtual CFO services firms are created equal. At some firms, the professionals delivering CFO services don’t have real-world experience as former seated enterprise CFOs. For example, the professional may have financial but not operational expertise. In this case, he or she will be unable to see the big picture and provide the level of comprehensive solutions the business needs. It’s important to work with a virtual CFO services firm that has exceptional depth and breadth in providing a broad spectrum of business finance solutions. Otherwise, financial and operational solutions may just be temporary fixes that don’t adhere to best practices and aren’t fully integrated. While the solution may be faster and less expensive, it won’t deliver maximum value to your business. Professionals with real-world experience as former seated CFOs will be able to integrate needed interdependent solutions into a bundle that’s focused on one high-level outcome. For example, the professional could team with a business as a project CFO in order to group finance solutions into a bundle that’s focused on a single outcome, such as raising capital to fund growth. After conducting a cash flow analysis, the virtual CFO services professional will perform restatements and update forecasts to ensure that the financial model is both current and accurate. He or she will then incorporate the statements and model into a financing presentation designed to help the business secure a loan or obtain equity financing. Broad and deep experience will be applied to resolve financial and operational challenges correctly. The on-demand CFO will apply the exact expertise needed to solve challenges in ways that tailor solutions to your company’s specific challenges. You will realize value in many ways, including tangible, intangible, future and personal value. Owners and executives working at mid-sized firms face a broad spectrum of business challenges. Often, however, mid-sized businesses don’t have in-house the financial and operational expertise needed to resolve pressing challenges. The business may need to hire a virtual CFO services firm that has addressed these challenges for other similar businesses. As you investigate virtual CFO services firms, be sure to look for one where the professionals have real-world experience as former seated enterprise CFOs.